This site is not affiliated with, sponsored or approved by ChevronTexaco. 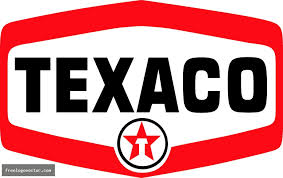 Acquiring California Petroleum Corporation in 1928 put Texaco in all 48 states. 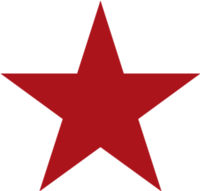 Organized it as Texas Company of California until 1941 when it became The Texas Company. 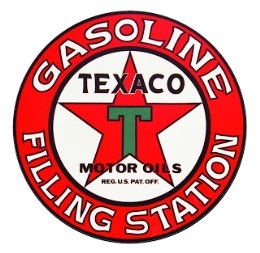 In 1931 Texaco bought the Indian Refining Company, acquiring rights to the Havoline brand name. Havemeyer Oil Company was renamed Indian Refining Company. 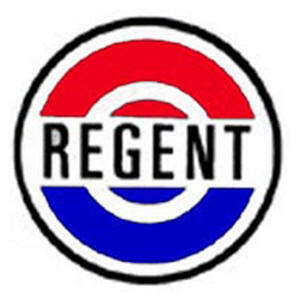 Regent Oil Company of UK. 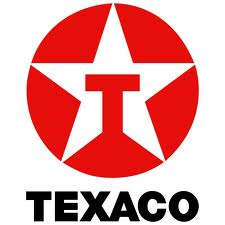 Texaco merged its UK operations with Trinidad Leaseholding Corporation in 1947 to form Regent Oil Company. Texaco them transferred its interest to Caltex. McColl Frontenac Oil Co. (BC) Ltd was a Canadian Company. 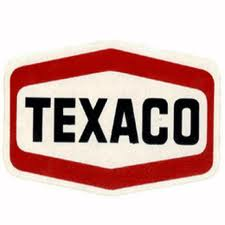 Texaco started buying their stock in 1936 and by 1940 controlled the board. In 1959 the McColl Frontenac brand was replaced with Texaco. 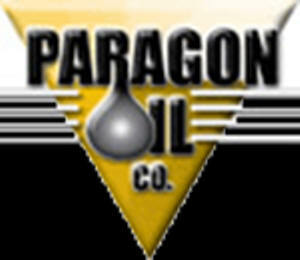 Paragon Oil Company was established by Henry Irvin, Robert Benjamin, and Arnold Schwartz in New York City early in the twentieth century. They mainly distributed fuel oil in the northeastern United States. Paragon was sold to Texaco in 1959. Current logo of this company. In the early 1900's a group of well operators formed the Associated Oil Company to transport oil to their refinery in Martinez, California. In 1936 Associated joined Tidewater Oil, makers of Tudol and Veedol, to form the Tidewater Associated Oil Company, a nationwide firm. Associated's trademark, flying wings attached to a letter "A" for Associated, became the new company's national marketing emblem. While Tidewater Associated was becoming one of the country's major oil companies, J. Paul Getty began buying stock in the 1930 and ultimately controlled the company by 1951. In 1966 Phillips 66 bought out the west coast stations, and the east coast became Getty Oil stations, bringing an end to the Flying A brand by 1970. Texaco bought Getty in 1984, but Pennzoil sued because Texaco had made a contract to buy Getty after Pennzoil had already entered into a contract with Getty. Texaco lost and was fined US$10.53 billion, the largest civil verdict in US history. In the end, only some of the refineries changed hands, and Getty continued to exist. Getty gas stations survived the buyout. At one time, some were co-branded with Mid-Atlantic convenience store chain Uni-Mart, which now sells its own brand of gasoline. In November 2000, Lukoil bought Getty Marketing, which had been spun off from Getty Realty, and in 2003 converted Getty stations to Lukoil for legal reasons. Skelly was obtained by Getty in when Tidewater Associate Oil was added to the Getty Company. Galena-Signal Oil Company sold to Standard Oil in 1878. It became an independant when the Rockefeller empire broke up in 1911. In 1931 Valvoline took over the company. They built a refinery in Houston, Texas around the turn of the century. Texaco bought the refnery and apparently the name. In 1924 Texaco moved into Ireland as Galena-Signal. In 1997 Shell and Texaco merged their marketing and refining operations in the eastern United States and Gulf Coast . The operations in the western and midwestern United States were merged into a company called Equilon. The Star Enterprise operation and Shell's eastern and southeastern operations were merged into a company called Motiva. After Chevron Texaco merger in 2001 Shell and Saudi Refining bought Texaco's interests in the joint ventures. 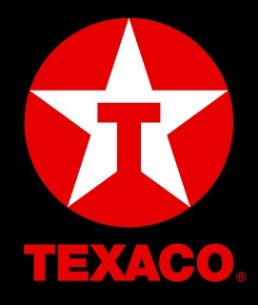 Texaco bought White Fuel Corporation in 1962. Seaboard Oil Co Texaco bought Seaboard Oil Company in 1958. They acquired mineral rights in the Rocky Mountains and South America. Trinidad Oil Company Regent Oil Company which was a joint venture with Texaco in the UK purchased the Trinidad Operations giving them the Pointe-a-Pierre Oil Refinery in 1956. TXL Oil Corporation TXL Oil Corporation was purchased by Texaco In 1962. This transaction gained them mineral rights to two million undeveloped acres in West Texas. Eagle Point Works Texaco purchased the Eagle Point Works in 1947. The Eagle Point Works Refinery near Camden, New Jersey became a major refinery for Texaco. I think that Sunco now owns the refinery. Lampblack This company was purchased in 1901 shortly after the inception of Texaco. RMR Inc Texaco purchased this asset in 1989. Tana Production Corp Texaco purchased this asset in 1989. 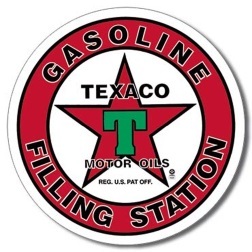 Texaco purchased this asset, but nothing else has been found. PPC Oil & Gas Corp.
Minnehoma Oil Co Original Company owned by father of JP Getty. Mission Corporation Standard of NJ set up this company to manage Tidewater. JP Getty started buying shares of stock in 1937 and got control 1953. Basin Petroleum Getty purchased this company in 1980. Fargo Oils Ltd. Getty was mentioned as purchasing this company. Mission Develop-ment Company Getty was mentioned as purchasing this company in 1967. Monday Oil Co. Getty was mentioned as purchasing this company in 1946. National Fidelity Life Insurance Company Getty was mentioned as purchasing this company in 1982. Land Co. Getty was mentioned as purchasing this company in 1980. Gas Company Getty was mentioned as purchasing this company in 1980. RVO Petroleum Co. Getty was mentioned as purchasing this company in 1981. Neches Butane Products Company The Neches Butane Products Company, which manufactured butadiene, an essential ingredient in synthetic rubber. 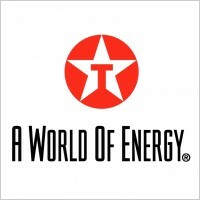 This was a government owned company formed during World War I This enterprise gave Texaco its start in the infant petrochemicals industry, and after the war it purchased a 25 percent interest from the Federal Government in the Neches Butane plant. Texaco acquired full ownership of this operation in 1980. 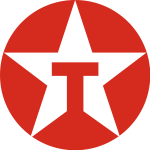 Jefferson Chemical Company Texaco increased its interests in petrochemicals in 1944, when it formed the Jefferson Chemical Company with the American Cyanamid Company. 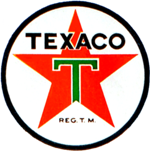 Texaco later bought out American Cyanamid's interest in this venture and then merged it with its newly formed Texaco Chemical Company in 1980. Return to "Texaco Collector's Resource" Home Page.